How to Unlock a lost or forgotten Windows 7 Password? One big problem is that I always forget the password for logging on to my computer. For me, an old man with little computer knowledge, it is a bit difficult to unlock Windows 7 password without others’ advice. So I include some methods to unlock Windows 7 Password for someone who have the similiar problems. After you install Windows 7, you are suggested to create a Windows password reset disk proactively in case of Windows 7 password loss. The process is as simple as clicking the “reset password” link on the log-in page after you log in with wrong password and then inserting the reset disk. Open the computer’ Control Panel. Click on “User Accounts and Family Safety.” When the next screen is populated, choose “User Accounts”. Continue the process and enter the new password. Upon the completion of the disk, remove your device. 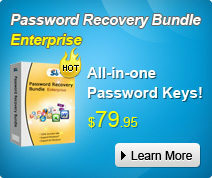 Windows 7 Password Recovery is much easy-to-handle for computer novice to reset Windows 7 password after you have already forgotten your password without a password reset disk at hand. Step 1: Download Windows 7 Password Unlocker Software, install & run it on a computer that can access to as administrator. Don’t forget to insert a CD into the CD-ROM. Step 2: It is optional for you to choose to reset local account password or domain administrator account password as long as you choose the correct version. Step 3: Specific your target device—”CD/DVD” and Click “Burn” to start burning bootable CD. Step 4: Insert this CD onto the computer which you desire to get back the password. And start it with CD. Step 5: Specify the Windows installation. For resetting Windows 7 administrator password, directly type the new password; for resetting local account password, highlight the certain user name and click “reset” to remove password. Step 6: Restart your computer by simply clicking on “reboot”. Your forgotten windows 7 password has been reset.